Be like Bond with an Aston Martin driving experience. Buckle up and feel the power and performance of an Aston Martin, one of the most prestigious supercar manufacturers in the world. With models like DBS, DB9 and V8 Vantage available to drive at a number of UK locations. Check out our range of adult and junior driving experiences below. Find available dates for aston martin driving experiences with our live calendar. What is an Aston Martin Driving Experience? Ever fancied yourself as the next James Bond? Why not have a go at a Trackdays.co.uk Aston Martin Driving Experience at one of our many venues across the UK? Whether you want to drive the Aston Martin V8 Vantage, DB9 or even the DBS as shown in the most recent Bond films, you will have an experience of a lifetime. We offer a wide range of Aston Martin experiences where you can drive an Aston Martin yourself or even just sit back and enjoy in one of our passenger rides. This includes classic car breaks and a Silverstone drive day. Here at Trackdays.co.uk, you can drive an Aston Martin Thrill at over 15 Circuits throughout the UK, all of which will give you the experience to remember. 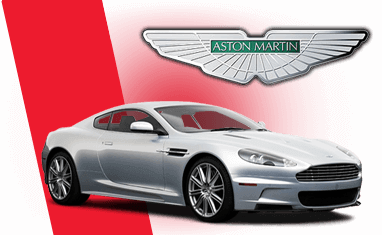 Not only are these vehicles one of the most desired Supercars throughout the driving world, but they also are British through and through - go on, treat yourself or someone special with an Aston thrill driving experience gift voucher! A typical Aston Martin driving experience includes a welcome arrival and sign on and a demonstration by your instructor. Then it’s to the track to show your skills and drive one of the most beautiful Supercars in the world at one of our many locations. Gift vouchers are available for all Aston Martin experiences, so treat yourself and get the chance to drive the amazing Supercars! You can either buy a gift voucher to give to someone special or you can choose to book directly onto a date. 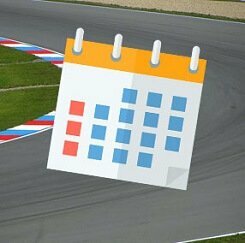 Use our calendar to find the date which best suits you. Aged between 10-17 years old? We have a great selection of junior Aston Martin driving experiences for budding petrol heads and adrenaline junkies!